Are you missing any teeth? If you are, dental implants can be the perfect solution for you. Any solution is probably best at this point, right? Dealing with missing teeth can be problematic for anyone. It can affect all parts of your life down to speaking and eating. Take it from us, you don’t want to let missing teeth become a part of your daily life, which is why we suggest receiving a dental implant. You’ll be amazed at the look and feel that dental implants provide. Missing teeth are no laughing matter and should be treated as soon as possible. If you’re ready to start living your life in complete comfort with a smile that looks beautiful, you should consider dental implant therapy. Our office in Naples, FL can bring serenity back to your oral health with dental implant treatment. A dental implant is the most common procedure that is used to provide comfort for patients suffering with missing teeth. There are a lot more problems associated with missing teeth than just how unsightly it looks when you smile. Functionality hangs in the balance, too. Think about it: when you chew, bite down, or even speak, your teeth play a huge role in completing these tasks successfully. For people without missing teeth, these tasks don’t require any hesitance. It’s like second nature. However, for patients that do have missing teeth, these basic tasks are difficult to endure. Can you imagine trying to bite down on something or chewing your food with several teeth missing? That’s the life these patients live, and it’s one we want to fix. Dental implants act just like natural teeth, but they’re stronger. How strong? A titanium post is inserted into the open space where your tooth once was to act as a “natural” root. It will take some time for the jawbone to accept the post, but once it does it will be in place for good. 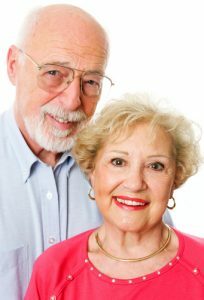 It’s important to note that dental implants are a permanent solution. Once they’re in, they stay put. A temporary crown is placed on the root while a custom tooth is prepared in a lab. Once the tooth arrives back at our office, we’ll remove the temporary crown and replace it with your brand new one. Prepare your eyes for what you will see – the results are simply amazing! If you have a missing-tooth problem, dental implants may be just what you need. For those of you who suffer from missing teeth, dental implants are the perfect solution. Are you ready to start living life in comfort once again? We invite all residents in and around the Naples, FL area to schedule a consultation with Dr. Makram.